We are pleased that you chose to visit our website. we offer only the finest quality merchandise, service and installation available. 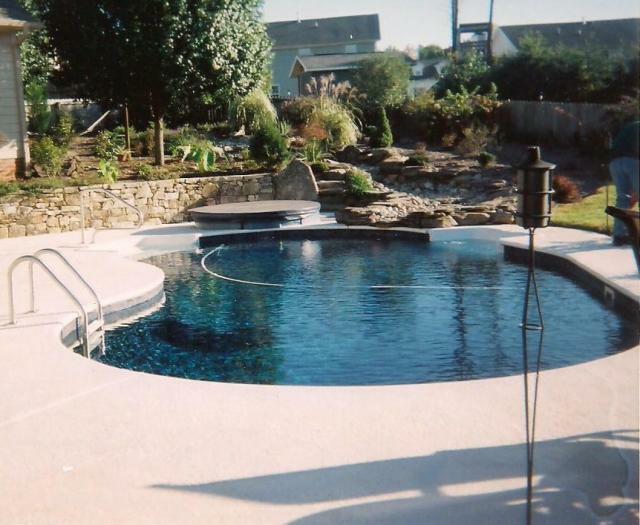 As you browse through our website, the swimming pool pictures you see can become real in your backyard. Andy & Christie's swimming pool with walk-in steps, spa seat, spill-over spa, stream with waterfall. .